Unlock your HTC 8S Now! Simply provide your details and phone serial number and we will email you the unlock code with Easy-to-Follow Step-by-Step instructions. 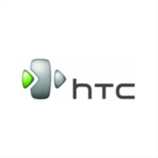 HTC is a Taiwanese manufacturer of electronics. They are one of the largest telecommunications companies in the world, and have handsets available on most of the major networks and carriers in the United States and the United Kingdom, including AT&T, T-Mobile, EE, Virgin Mobile, Vodafone, 02... If you’ve recently purchased one of the HTC 8S's latest models and it’s locked to one specific network, don’t fret – we can help! All we need is the Serial number (IMEI) of your HTC 8S phone. Additionally, you could mention the Network Provider it's currently locked to but actually for HTC this is not even required, so if you're not sure, just tick the 'I don't know' checkbox. We will then generate your unique 8 digits unlock code and give instructions to enter this SIM network unlock PIN. How do I enter the Unlock code into my HTC 8S handset? Get 8S Unlocking Code Now! You will be provided with step-by-step instructions on how to enter your HTC 8S unlock code. The unlock is permanent and will allow use of local and worldwide SIM card.